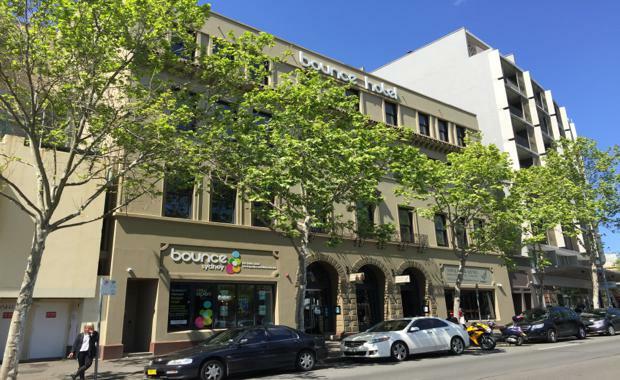 Foreign investors continue to flex their strength in Australia’s hotel market, with the $18.3 million sale of Bounce Backpackers in the Sydney CBD the latest in a tranche of sub $25 million transactions to offshore buyers. The five-star Bounce Backpackers is a five level establishment, comprising 190 beds over three levels, a ground floor tavern/bar area and top floor featuring kitchen facilities and outdoor common areas. The 28 Chalmers Street property, which underwent extensive renovation between 2008 and 2010, also includes a top floor terrace offering spectacular views over the Sydney CBD. CBRE Hotels’ Andrew Jackson, who negotiated the sale of Bounce Backpackers to a private Chinese investor, said the transaction was evidence of the hotel market’s rising investment appeal. “Australia’s hotel sector continues to fly high on the radar of Asian investors, with its relative proximity, economic stability and high growth returns, key fundamentals attracting buyers,” Mr Jackson said. Mr Jackson went on to say the sale of Bounce Backpackers was conducted off market, with direct approaches to only a targeted list of investors known to be competitive in the sub $30 million price bracket and terms negotiated within weeks of the appointment. Located along Chalmers Street, opposite the Central Railway Station and within walking distance to the southern end of the Sydney CBD, the property also includes a ground floor bar and restaurant securely leased. The sale follows recent research, highlighting an uptick in transaction activity in Australia’s hotel market, with more than $2.5 billion in transactions completing in the first half of 2015 – the second largest transaction pipeline across the Asia Pacific region. CBRE’s 2015 Asia Pacific Hotel MarketView report shows robust appetite for hotel property across the country, with Australia ranking second behind Hong Kong in terms of transaction activity. Earlier this month, an offshore Chinese buyer scooped the Pensione Hotel in Melbourne for circa $26 million, while a number of other sales are preparing to conclude over the coming weeks, including the 225-room Tune Hotel in Melbourne, the Wyndham TRYP Hotel in Brisbane’s Fortitude Valley, the Ibis Styles Cairns and the Crowne Plaza Terrigal.